Fitness is Fun and who knows that better than Kids! FitKids focuses on continued development in a fun environment. 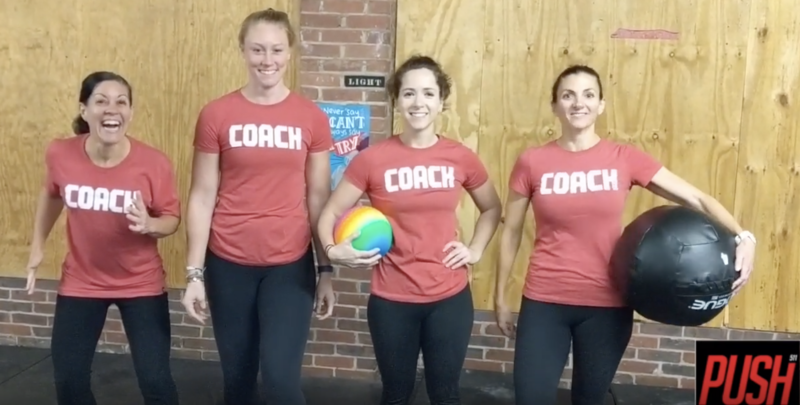 We start with fundamental healthy movement patterns and we begin to introduce a few higher-level athletics such as technique work, accuracy, flexibility, coordination, body weight strength, core strength, endurance, and goal-setting. This is also the age group where we start to introduce workouts and begin to touch on nutrition. We end each day with a game or two where we keep their minds and bodies active while working toward excellent teamwork and leadership skills. 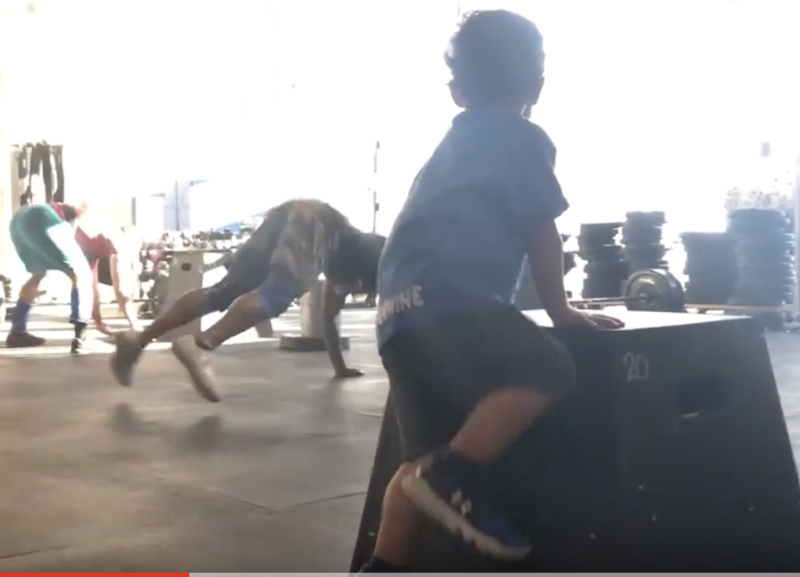 Your kids will learn to love fitness, nutrition, and develop good motor patterns for functional movement that will benefit them for a lifetime and create the safest foundation for sports and training programs in their future. They will also benefit from coaches who have been trained and certified in how movement affects academics, healthy social interactions, problem-solving and a positive growth mindset. A TON of development occurs between the age of 5 and 10 so as each athlete progresses, our expectations raise to keep them challenged consistently. 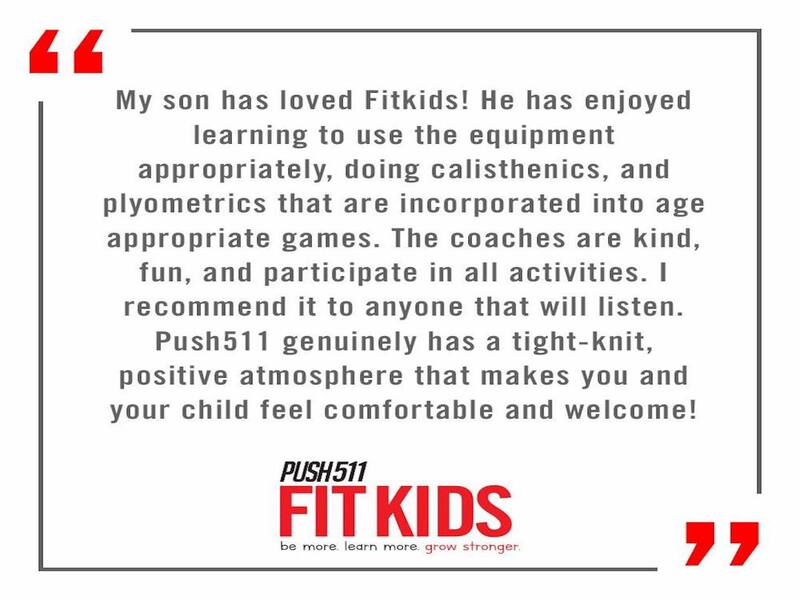 We want kids to have the freedom and fearlessness to engage wholeheartedly with the world throughout their entire lives, and that confidence can be found at FitKids! Spring/Summer 8 Sessions: April 27th to June 22nd (NO Session May 25th) - Register Now! Contact britneylukowski@gmail.com to reserve a spot in the next session.